For this festival, each of our four shows are linked in someway to our special theme. Our shows are taking place at the end of March and are going to be awesome. All new writing and talented casts and crews? What are you waiting for? Get your tickets now? ​Thank you for reserving your tickets for our The Grey Area Fest! 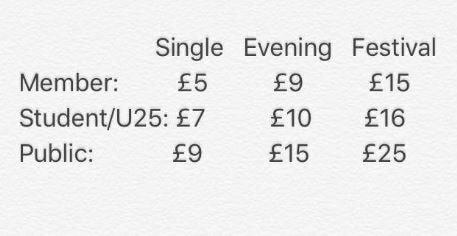 You have only reserved your tickets and will need to pay for your tickets on the night in cash. If you need to take money out, there is a cash machine five minutes down the road or in the nearby Co-op, if you need directions please ask. Photography and filming will be taking place during the shows so if this is a problem please contact us. If you have an accessibility requirements please let us know. This performance will take place in the Pinter Studio in Arts One of Queen Mary University (E1 4NS). The nearest Tube Station is Mile End Station. 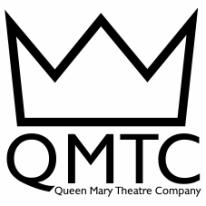 If you need further assistance or if you need to contact us at all at please email us at company@qmtc.co.uk and we will get back to you as soon as we can. Please arrive fifteen minutes before the show begins, late comers may not be admitted. Thank you again and we can't wait to see you at our show!